50K The Mt. 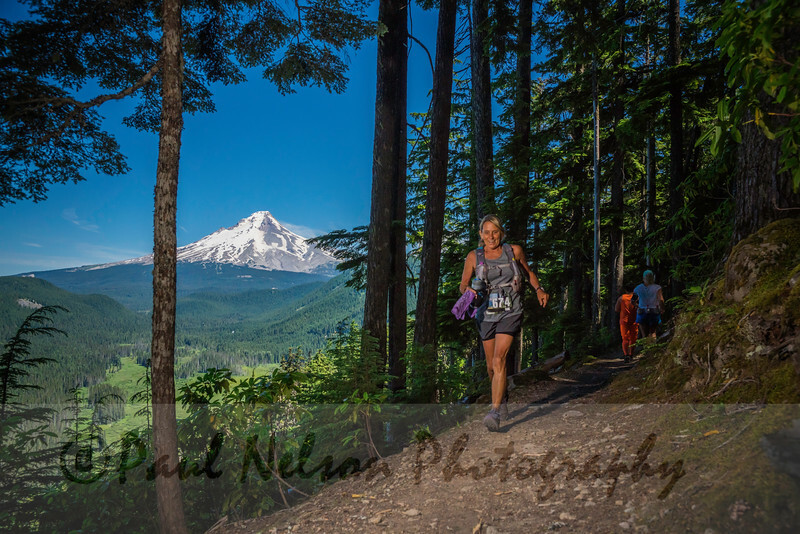 Hood 50K is a heavily shaded trail race that is run on the Pacific Crest Trail and around Timothy Lake. The first 21 miles of this race are on the 50-mile course. Runners will start by running north from the Clackamas Ranger Station, skirting the eastern edge of Timothy Lake before joining the Pacific Crest Trail. You’ll pass through two aid stations before reaching the Turnaround aid station. You will then return the way you came on the PCT, but will turn onto Timothy Lake trail when you reach the lake, running counter clockwise around it. After one last stop at an aid station at the dam, you’ll head for the finish line. The trail is generally soft with good footing, although there are some technical sections with rocks and roots.